This is more for dairy free adults, but I had so many positive comments on the pudding I made last Christmas I decided it belongs on the blog. I had never made a pudding before, and made two last year. 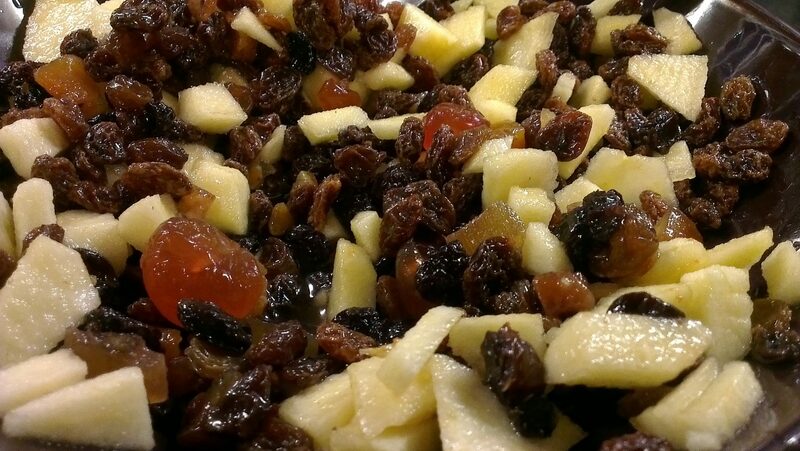 As I’m not a fan of fruit cake or dried fruit, I haven’t tasted it, but both my parents and my husband are raving about it. I have been told I have the job to make it again this year. Thanks to Claire’s Mammy Phyllis for the recipe! You will need 2 x 2pint pudding bowls with lids. Half the amounts if you just want to make one 2 pint pudding. 3. Mix in breadcrumbs, fruit, lemon juice, nutmeg, spice and apple. 4. Add rum and leave overnight. 5. Add stout if using and boil for 6 hours. 6. Store with airtight lid until ready to use. 7. Boil for a further 2 hours on the day you eat it. Serve with dairy free custard or dairy free ice-cream.